Captain Derac Vidor has served Kinir for nearly twenty years. It’s his life, his blood soul. And then his Commander betrays everything Derac holds dear. Now he has to focus on his own life and his team instead of saving the citizens of Kinir. 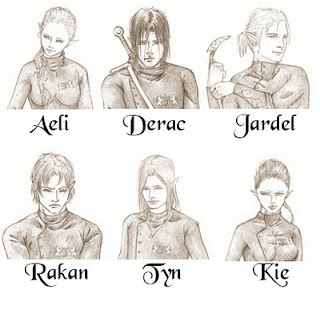 Some of the following information will never come out in the series, so I thought to share it with you all as a little "behind the scenes" info about the Kinir Elite and the type of elf it takes to be a part of their team. The Kinir Elite are a special forces, "black ops", team with mostly top secret missions. They are still a very "public" group, unlike most black ops teams which are kept in secret, away from public knowledge. They are seen as the "super heroes" to young elves and are often the source of many bedtime stories. The majority of their missions are secret but when it's a hostage rescue situation, the news is spread around. Their country is rather small and limited in technology (compared to ours), so they don't have things like helicopters, cars, guns, etc. They use bladed weapons and bows, making for a more personal style battle/fight scenes. They use covered wagons, carriages, horses, and even dragons as their "vehicles". They do work closely with their southern neighbours, The Tinally Elite, who are faeries. The faeries use magic and spells, unlike the physical weapons of the elves. But the inally are limited in what they can do depending on location (can't use magic or survive long without sunlight or moonlight) and strength (if they use too much of their magic, it can drain them and they will need to rest to rebuild their power again). This why the two groups work closely together. 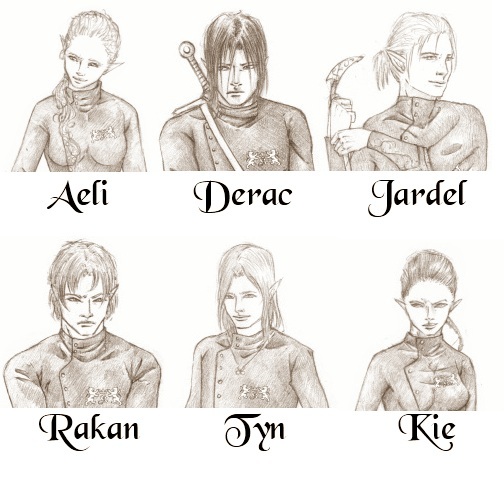 When there is a situation underground, the Kinir Elite will step in to help as the Tinally faeries cannot operate, even minimally, in such conditions. It is the same when the Kinir elves have a situation that requires flight and/or magic of some sort. BUT even with all that, the greatest test, and the one the Elite Captain pays the most attention to, is seeing the possible recruit in action - seeing how they think on their feet in a real situation. The Elite Test is essentially their version of "spy training". They are taking away from the Ranger base and taken to a secret facility. In order to keep the facility hidden, the Rangers that go at that time are given a sleeping sedative. Then they are transported to the secret facility and spend anywhere from two to five years depending on what they choose to specifically train in. In order to keep this explanation brief, think of this facility as a combination of SWAT school, Navy Seals SERE training, and "spy school". Given the strong military theme in my book, I want to honor real life soldiers with my writing. Portions of my royalties from this book, and the upcoming books in the series, will go to the Wounded Warrior Project. This organization helps wounded soldiers and their families heal when they return home. You can learn more about them and read true accounts of soldiers they've helped at their website, www.WoundedWarriorProject.org. A groan escaped him as he unbuttoned his shredded tunic. His hand brushed over the crest of Kinir embroidered on the front. Two lions reared up on their hind legs, one of each side of a crown atop a letter ‘K’. Silver and green threads woven together to create a metallic green look. His fingertips felt each thread, each rise in the design. How could Palto betray us? A ragged sigh left his lips and he tossed the uniform to the floor. He wiped the dirt and grime off his skin with a soft cloth. The water turned brown. Dried blood flaked off him and landed to float on the surface of the murky water. He couldn’t take his eyes away from the bowl. The liquid swirled, making his stomach churn. Derac’s knees collapsed from under him and he landed hard on the floor. He dragged the cloth down his face in an attempt to wash the mines and everything from his memory. Nothing helped. 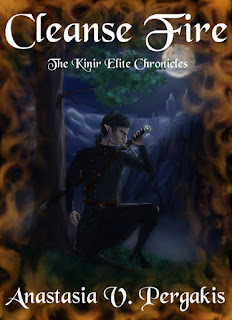 When he closed his eyes he saw the tortured and starved faeries and Kie panicking in the dark. He scrambled to his feet and dumped the murky water out the window. Full of clean water again, Derac plunged his face into it. Using the pitcher, he poured more water over his head. The dirt, he had to be rid of it. All of it. Derac straightened and squeezed the excess water from his hair. Dried blood, chunks of dirt, and who knew what else turned the water to a thick mud. He threw the contents out the window again and wiped the bowl clean. He yanked his brush from his pack and raked it through his black tresses. Tears stung his eyes. He told himself it was the tangles in his hair but it was a lie. How many faeries had died before the team could rescue them? How many lost their innocence at the hands of a dwarf? Derac fell to his knees and bowed his head toward the open window. Moonlight poured in, but it did little to dispel the chill he felt in his bones. Kie willingly entered the place of her childhood nightmares. How did she muster the courage? Why wasn’t she a wreck like him? He pulled on her strength and forced himself back to his feet. Breaking down was not going to help anyone. Thank you Chris, for having me here today. I really appreciate the visit to your blog. 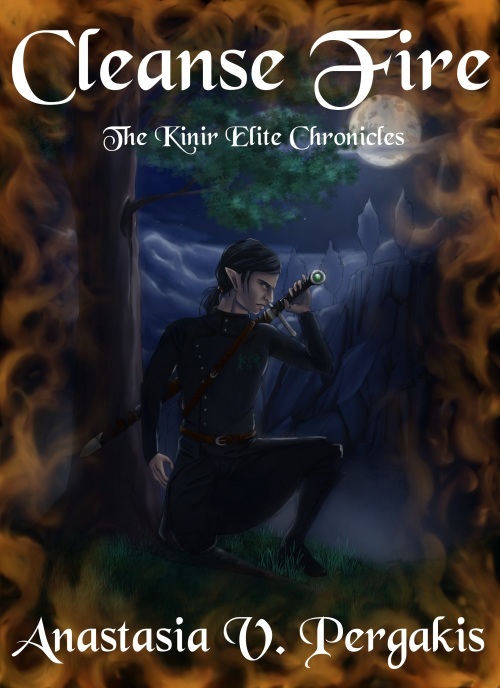 Join the Kinir Brigade by signing up for our newsletter! Get exclusive deals, access to special giveaways, and inside information about the series! Join the Kinir Brigade now! And don't forget to visit our Facebook Page and Website too! In honor of Veterans Day a few days ago, I’m giving away an e-copy of Cleanse Fire! Leave a comment on this post to enter into the random drawing by 11:59 pm November 20 (Eastern Standard Time). You MUST leave your email address IN the comment so I can contact you when you win! Everyone who leaves a comment will also be added to the drawing for a chance to win a signed hard cover version of the book when it releases December 21. I'm having more giveaways throughout the months of November and December! "Like" the series' facebook page to keep up to date on all the events! 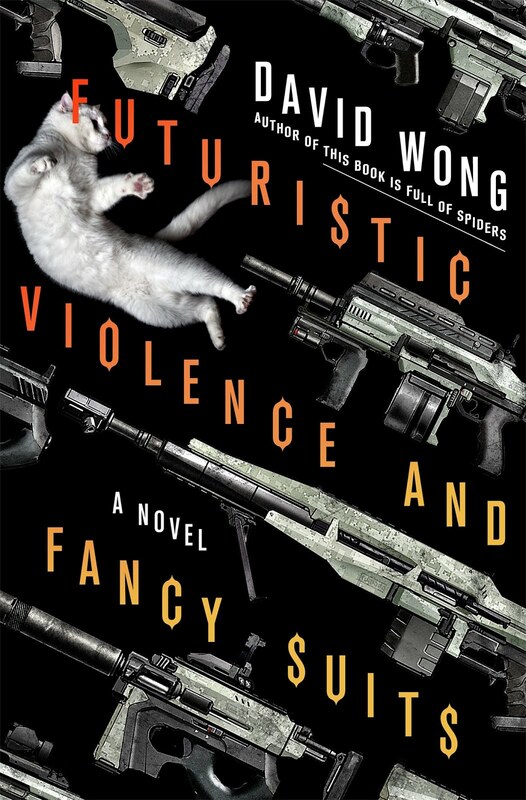 I know you queried this novel for several months before deciding to self-publish it. For others who are considering self-publishing, finish this sentence: If you are going to self-publish make sure that you ____________________. If you are going to self-publish make sure that you ---- Do your research!! I can't stress that enough. It's so important. So often do I see authors get trapped in supposed self publishing scams or stuck with a printer company they can't stand. Research your market, research your audience, research your printer, research and then research some more! Read blog posts until you go cross eyed, talk to other self published authors, and ask LOTS of questions. You are welcome to ask me anytime on facebook or twitter and there are lots of indie author groups out there with plenty of people more than willing to help you.